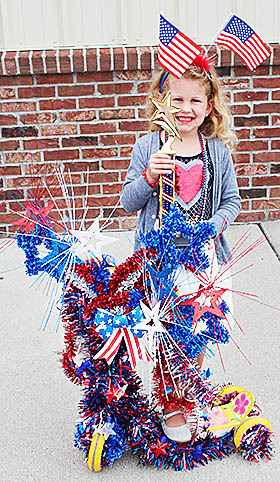 Mckenna and Evy Aalbers wond the first place trophy at the July 4th Kiddie Parade in Albion. 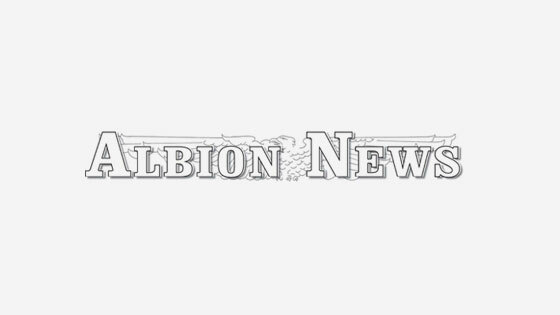 Area children showed their patriotism in red, white and blue during the annual July 4th Kiddie Parade in Albion Monday morning. The fifth annual parade on Church Street included more than 40 total entries. Leading off the parade were members of the Boone Central Marching Band. 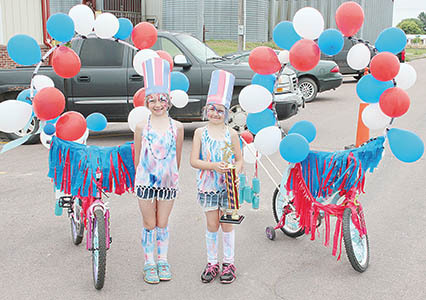 First place trophy was awarded to Mckenna and Evy Aalbers with their decorated bicycles and costumes. Placing second (left) was Samantha Gragert with her decorated scooter. 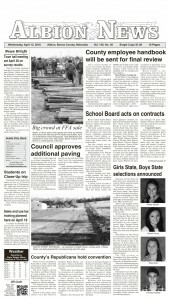 Hot dogs and popsicles were served to all parade participants and parents at the Vets Club after the two-block parade. Samantha Gragert won second place with her decorated scooter.